The action adventure game allows players to become a superhero on a quest to defeat evil villains and their minions. F84 Games and POW Entertainment have launched Stan Lee’s Hero Command on iOS devices, challenging players to save the world from evildoers using a new roster of superheroes. Players begin by selecting one of three heroes, each with their own backstories, stats and combat specialities. From there, players complete missions and head into battle against evil villains and their henchmen. In each level, players use a virtual joystick to move their character, and tap attack and skill buttons in the bottom right of the screen. Each level has breakable objects containing healing orbs, while players receive currency from each defeated enemy. If players lose all of their health, they can watch a video to receive a second chance, or give up and start the mission again. In between missions, players can spend their currency on upgrades for their hero’s stats, and can complete training missions to unlock additional skills. These skills can then be used in combat, but take time to recharge between uses. Meanwhile, upgrades take time to complete, but players can finish them instantly with premium currency. The game is further monetized via the inclusion of an energy system, with energy used to activate missions. This energy recharges over time, or can be earned for free by watching videos. Players can also use premium currency to purchase additional playable superheroes, and even immediate access to superhero skills, if they’d rather not complete the training missions to unlock them. Achievements and daily challenges give players a chance to win free premium currency. 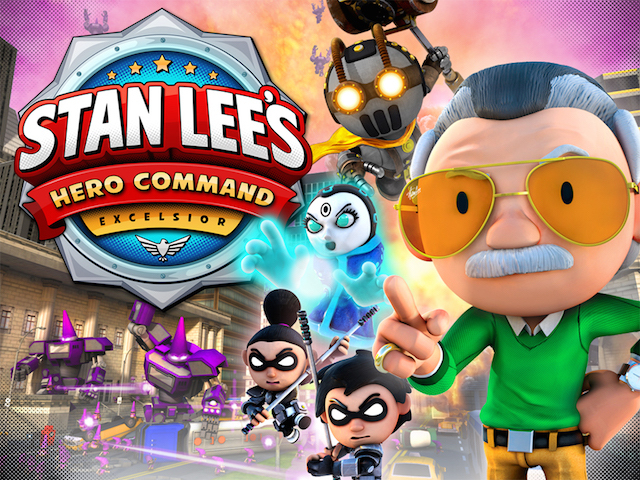 Stan Lee’s Hero Command is available to download for free on the iTunes App Store, and will launch on Google Play soon. While three heroes are currently available, at least three more are in the works, as the game will be updated with these new heroes and “new scenarios” on a regular basis going forward.